"Decades of developer time" are lost to needless console certification requirements. If you've spent any amount of time playing videogames, you've probably seen a message telling you not to turn off your system while a game automatically saves. The warning is there to prevent gamers from accidentally corrupting their save files, and it's a standard occurrence in current-gen console gaming. Braid creator Jonathan Blow feels that gamers would be better served with "a more robust save system," calling the standard warning part of the "bizarre over-complexification" of console gaming. The quick message might not seem like a big deal from a gamer's standpoint, but as Blow points out, "this is something that developers have to implement and that has to be tested, which costs significant time and money." The solution, he says, is to use a save system that won't corrupt files if the console is switched off. "You save the new file next to the old file, flush the I/O, and only delete the old file once the integrity of the new one has been verified (or just don't remove it, and keep two copies of the save at all times). On load you just make sure you load the intact save file if one is corrupted." 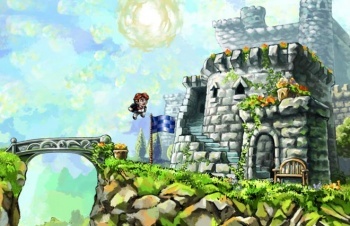 This was the save system used in Braid, and according to Blow, it's not very difficult to employ. It probably doesn't seem like it would take much effort to develop and test a warning screen, but Blow says that it could be at least three days of extra work for developers. On its own, that's not much when game development can take years, but combined with the other steps developers have to go through to get their console games certified, it can add up to "decades of developer time." Blow details some of the other certification challenges indie developers face on his blog, and says that he doubts publishers will be able to fix these issues for the next console generation. He also points out that there's "almost no certification process" for iOS apps, and they seem to be functioning just fine. Blow is certainly not the first developer to complain about the certification process (not even the first this month), but we're still probably a long way off from seeing Microsoft, Sony, and Nintendo loosen up their game requirements.